Specification: Installation of scour protection to the abutments of the bridge that spans the River Itchen using stone filled gabions together with associated concrete and brickwork repairs. 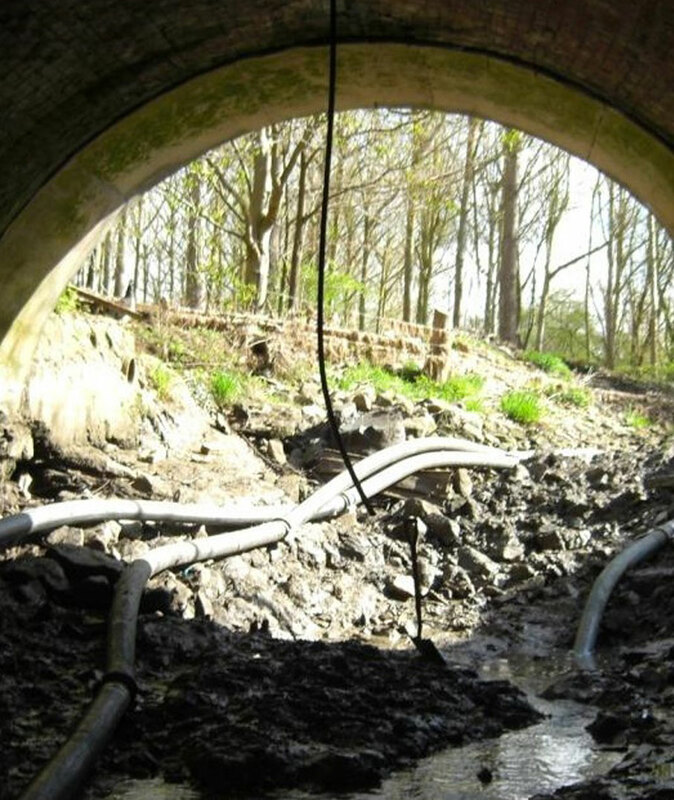 Dewatering: The installation of an upstream barrier comprising driven interlocking piles and a polythene membrane with water pumped downstream of the site. Gabion installation: The preparation and levelling of the invert of the river bed in the bridge hole to receive the gabions. Gabion cages then assembled, placed in position and filled with 100mm/200mm stone. Grading of the invert of the river bed. Concrete and Brickwork repairs: Repairs to the concrete foundations and brickwork soffit of the arch undertaken. Brick stitch repair work also undertaken using resin bound helical bars.